A joint workshop on how fundamental values are being put into practice across the 270 members of the AArU and other institutions and the ways of further improving practice and dealing with challenges will be held in Amman on 18th September 2016. 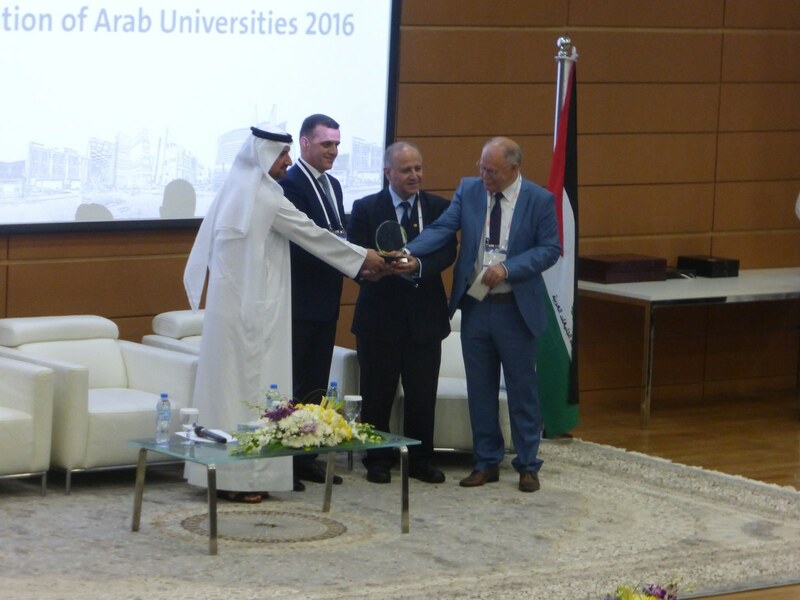 This is the first partnership initiative of MCO and AArU, the Association of Arab Universities, that was announced at its General Assembly in Al Ain, United Arab Emirates. MCO Secretary General, David Lock spoke of why the fundamental values of the MCO were more relevant today than ever before. A faster pace of change, more diverse expectations from a broader range of stakeholders and more extensive globalisation required leaders to take decisions in more novel circumstances and an environment of greater uncertainty. Hence, the foundations provided by fundamental values became a more important bedrock. The AArU, founded in 1964 and with members in over 20 countries, is committed to the advancement of Higher Education working within the framework of the Arab League. 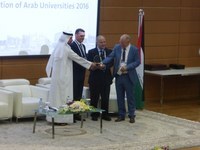 Its objective is to support and connect universities in the Arab world, and to enhance cooperation among them. At the General Assembly prizes were presented for research achievements. The AArU also briefed members on its international activities which included programmes with China, Malaysia and European countries. 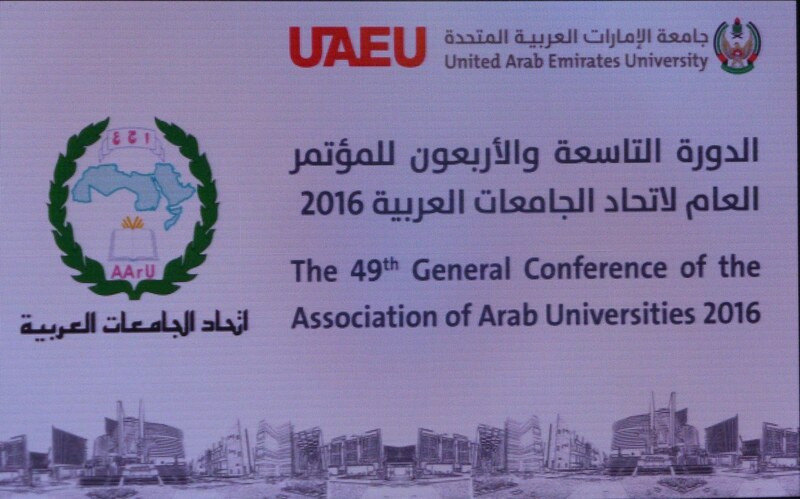 Speakers from the Arab League and other international bodies paid tribute to the achievement of AArU. More details of the AArU/MCO workshop will follow on this website, facebook and twitter. Stay tuned!